Four Real Photo Postcards with an obvious relationship, but one I can't quite figure out. Hopefully a reader will come to the rescue. 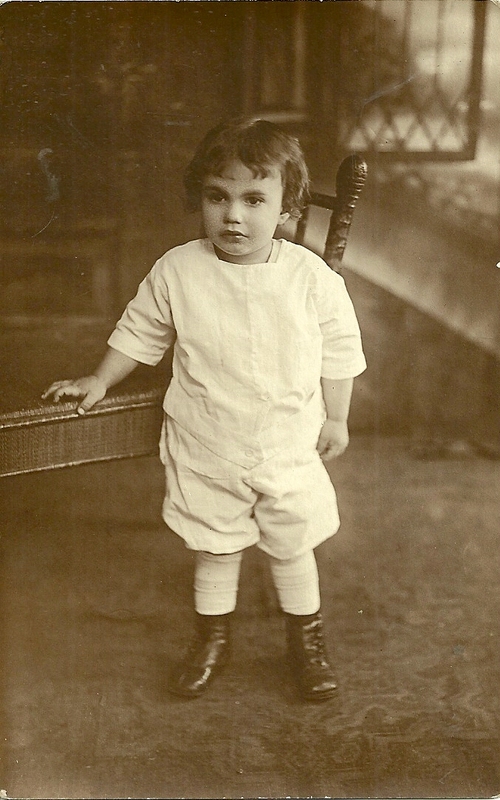 The first RPPC, above, shows 2-year-old Francis Morton Clark. 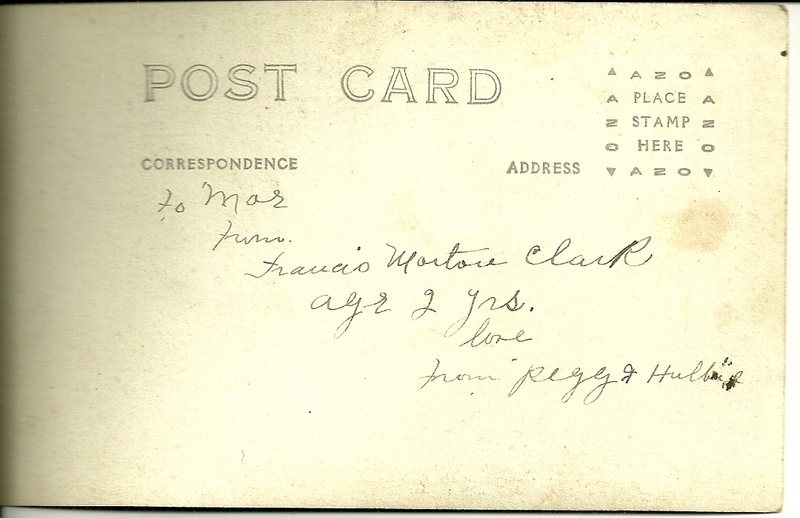 The postcard was sent to "Mar" by a couple that looks to be "Pegg & Hulbie". If you decipher something else from the wording, below, please leave a comment. I looked for a Francis Morton Clark with parents Margaret and Hulbert and came up empty handed. In fact, I didn't find an exact Francis Morton Clark either. Perhaps I've got his middle name wrong? 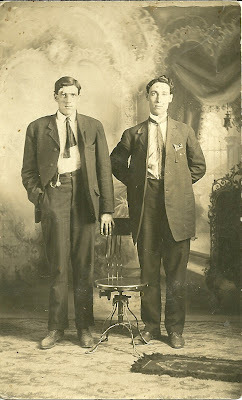 The next two RPPCs shows two young men, probably brothers, perhaps even the same men in both. 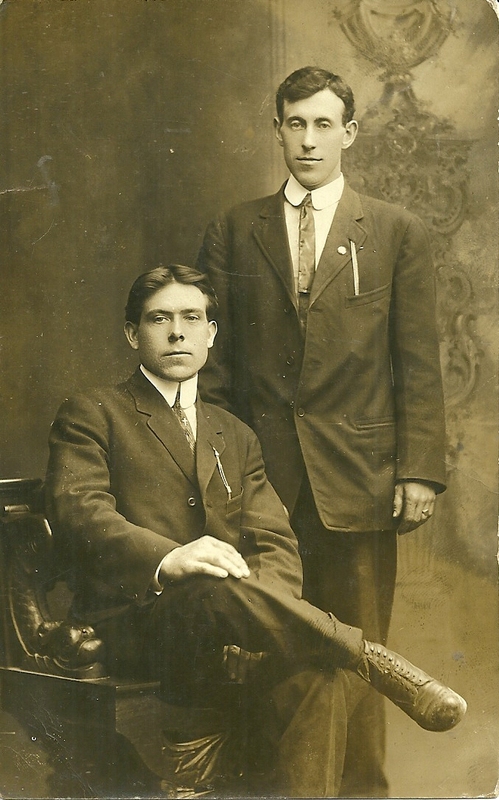 The first card shows two men standing. 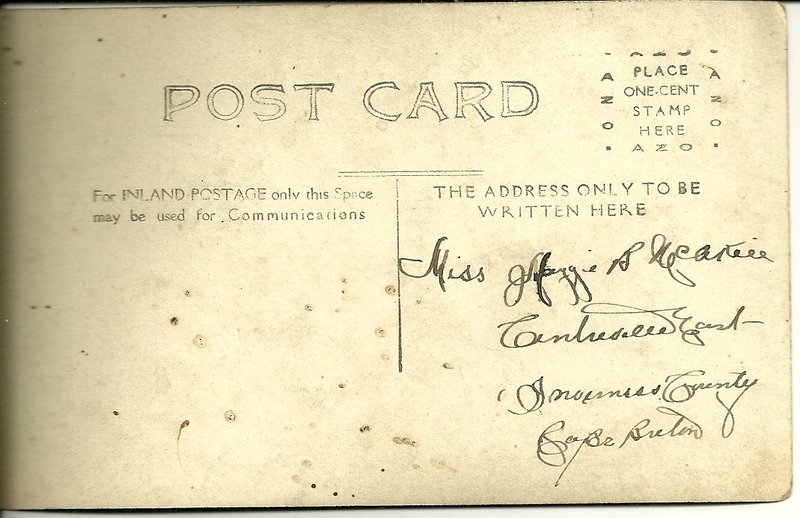 The reverse of the card above shows the name of the person in Centreville East, Inverness County, Cape Breton, Nova Scotia, Canada, to whom it was addressed. I can't quite make the name out, but I believe it might be Maggie B. McAkier (?). I'd be glad to have your opinion. 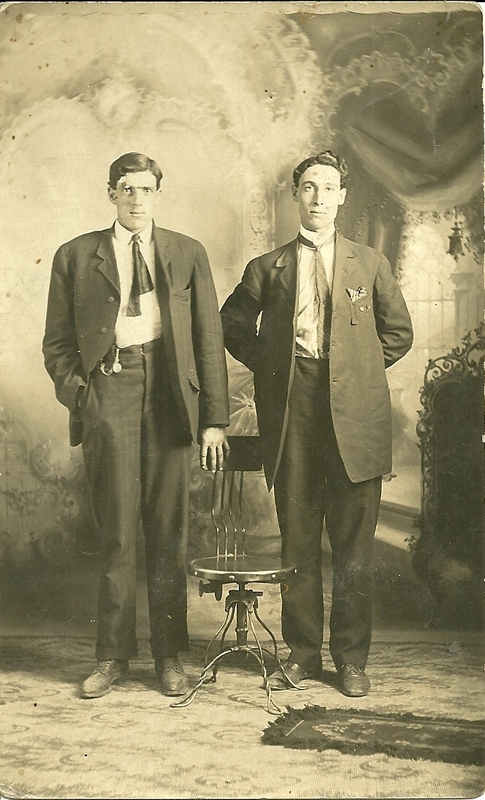 The next card shows two young men, one sitting, one standing. 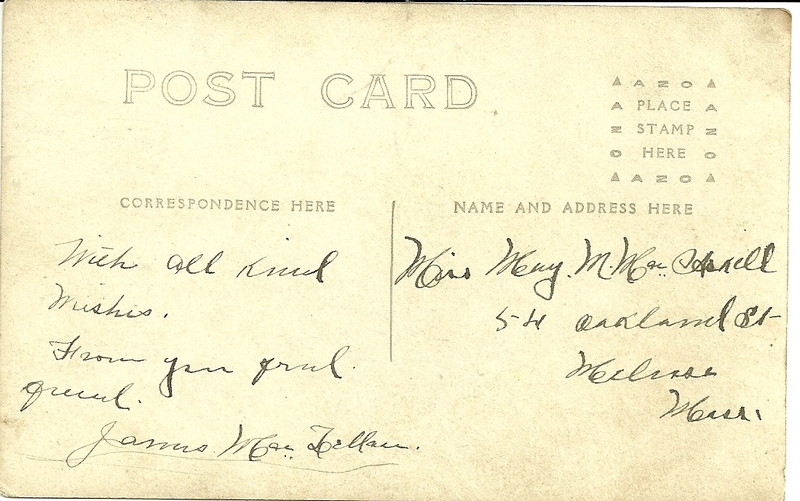 The reverse of this card is addressed to a person in Melrose, Massachusetts. I believe the name is something on the order of Miss Mary M. MacCannell. Again, I'd like your opinion. 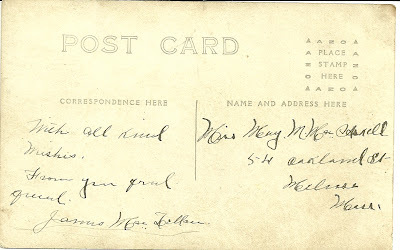 The person who gave the card to the addressee appears to be James MacLellan. The last card shows a toddler and a baby. 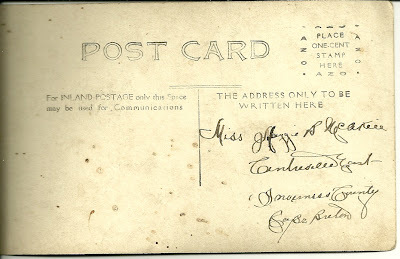 This card has nothing on reverse except for the same postcard format/markings shown in the cards above. 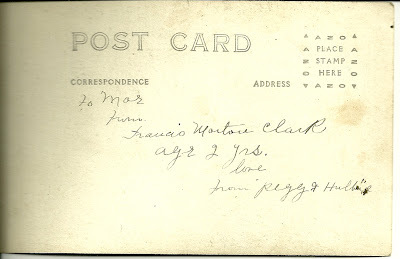 Francis Morton Clark (assuming I've read his middle name correctly) to "Mar"
This is quite interesting I live near Centreville in Cape Breton NS. There were several MacLellans in my family tree including a James MacLellan! That sounds promising! If you're able to tie all these names together, please leave another comment here.